Enrolled Agents are America’s tax experts. They are the only federally-licensed tax practitioners who specialize in taxation and also have unlimited rights to represent taxpayers before all administrative levels of the IRS. That means that if you get a letter from the IRS, or worse, are audited or are the target of a collection action, your Enrolled Agent can speak directly to the IRS on your behalf (same as a CPA). The key to success in business is having the ability to make informed timely business decisions. It is critical to control business expenses, along with monitoring customer and vendor processes, such as sending invoices out timely, along with processing vendor payments in order to take advantage of vendor discounts. Monitoring cash flow is an important function of a business. A strong accounting system will allow you to monitor where your money is coming from, and importantly, where it is going. A strong accounting system allows a business owner to make informed decisions. An accounting system with strong internal controls will also minimize financial fraud. Another important issue is tax planning. With effective tax planning a company can minimize their taxes, especially when it comes to multi-state tax issues. A good tax plan will allow you to minimize your tax exposure and keep as much of that hard earned money as possible. 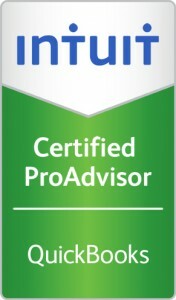 With 40 years corporate experience in the accounting field, and as a QuickBooks Certified ProAdvisor I will set up your accounting/bookkeeping system with strong internal controls, along with discussing the necessary business processes needed based on your company’s operations. Training is available on all QuickBooks products. I offer one-on-one training, as well as class training at your location for your convenience. As a tax accountant; federally licensed Enrolled Agent and NTPI Fellow graduate, my continuing education in tax law allows me to effectively plan with tax savings in mind, along with representing you before all administrative levels of the Internal Revenue Service (the same as a CPA or Tax Attorney). I offer IRS Problem Resolution should the need exist. With today’s rising prices and time consuming compliance rules I want to provide a service that will maximize your business growth while minimizing your costs. I reduce your expenses and save you valuable time by a combination of outsourcing, computerizing and utilizing the internet, thereby allowing you to grow your business. Check out services Accounting Connections offers. For new and existing businesses I can assist you in choosing the legal entity that best fits your needs with tax savings in mind. I have formed alliances with attorneys that can help you with the actual formation of the legal entity, along with preparing shareholder and partnership agreements. For the growing company I also work with strong certified financial professionals (CFP) that can set up employee benefit plans, group insurance and discuss the various retirement plans that are available. This will allow you to retain valuable key employees. It is my goal to become an integral part of your team. I achieve this through personalized client services, along with accurate and timely financial reporting. I meet with you when needed. I make myself available, whether to answer an accounting, QuickBooks or tax question. I am available by telephone, e-mail, remote access or on-site if need be. Please call for a free phone consultation. Affordable plans to fit individual needs!